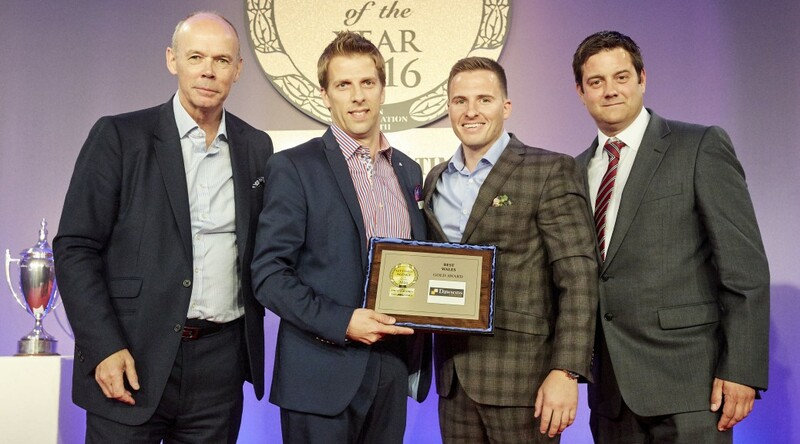 Dawsons was awarded the title of Wales Lettings Agency of the Year at The Lettings Agency of the Year Awards 2016 in association with The Sunday Times and The Times, and sponsored by ZPG. On Friday 10th June, hundreds of leading letting agents from across the UK attended a glittering ceremony at The Lancaster London Hotel where the winners of the most highly regarded awards in the lettings industry were revealed. The winners were presented with their awards by rugby and Olympic leadership legend Sir Clive Woodward, with renowned journalist, author and newsreader Penny Smith acting as compere. Award winners were selected following a rigorous and thorough judging process overseen by a panel of 20 industry experts who assessed initial entry submissions before conducting an extensive review of the entrants, including over 150 hours of telephone interviews and independent mystery shopping exercises. Dawsons, winners of the Wales Lettings Agency of the Year, was delighted to receive the award. “Winning this year is a fantastic achievement, and something that we have worked towards for the past 12 months. Receiving gold in 2015 represented many, many months of effort and continued progression, but to retain such an accolade for a second year really is a special achievement,” said Ricky Purdy, Director of Residential Lettings at Dawsons. The judging process was managed by Property Ombudsman Katrine Sporle, whilst Mark Hayward of the NAEA acted as Arbiter. The winners were competing for property management and overall awards by business size and/or region, and accolades were also awarded across a number of specialist categories, from marketing to relocation. Now in their seventh year as a dedicated competition for the lettings industry, these awards have become widely recognised as the most prestigious and difficult to win. With more entrants than ever before, thousands of British lettings and property management offices were represented this year, but only the very best of the best were crowned winners. The regional awards were sponsored by ZPG whilst the specialist categories were sponsored and supported by some of the industry’s leading suppliers including Boomerang, Brief Your Market and Samsung. The rental sector across the UK property market remains a hot bed of activity; most recently the question raised is how landlords can continue to self-manage a property in Wales whilst adhering to the requirements of Rent Smart Wales. 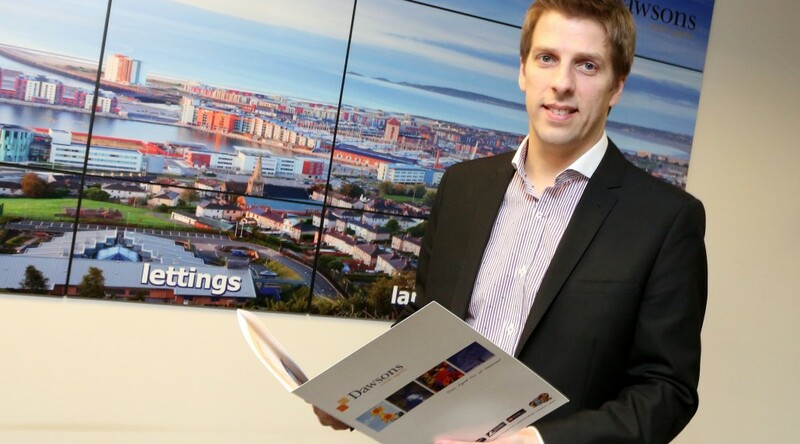 To ensure landlords throughout the region have the correct advice and support so they may continue letting from November 23rd this year, Swansea-based letting agent Dawsons is set to host another informative open evening after their April event proved to be a great success, and this one is set to be bigger and better than ever. Taking place on Tuesday 21st June 2016 at the Marriott Hotel in Swansea, the Dawsons lettings team will share their knowledge and the most up-to-date industry insights on landlord registration and licensing. “Since 23rd November 2015, it has become a requirement for all landlords operating in Wales to become registered. As part of this new requirement from Part 1 of the Housing (Wales) Act 2014, landlords were given one year to comply with this obligation, as is the case for licensing should a landlord manage a property without the use of a letting agent. The open evening will be in line with our countdown to the November 23rd 2016 deadline,” said Ricky Purdy, Director of Residential Lettings at Dawsons. “We promise an informative evening designed to update self-managing landlords on this hot topic. Landlords can take full advantage of this opportunity to learn of the time frames, initial requirements and landlord costs as well as the ongoing needs that mandatory licensing puts upon private sector landlords within Wales. All landlords will be provided with informative guides and introductory packs to take away and benefit from. Our team will also be available to offer professional assistance prior to the November deadline, with greatly discounted service options available on the night for those who see the introduction of licensing as an ideal opportunity to utilise the services of a letting agency,” concluded Ricky. If you wish to be included in this event, please call Dawsons’ city centre office on 01792 301000 or email rsw@dawsonsproperty.co.uk to confirm your place. Limited spaces available. Known for being the ‘muddiest assault challenge in the world’, 16 staff members from Swansea-based estate agency Dawsons were ready and willing to take on the extreme trail at Clyne Valley to raise money for a great cause that is close to all their hearts. To support their chosen charity The Wallich – an organisation that aims to make life better for homeless people providing the accommodation and support to help them live safely, happily and more independently – the Dawsons mud challenge team, which included company directors Ricky Purdy and Joanne Summerfield-Talbot, attempted the challenge with hilarious results! “It was a great day, one that brought many staff members together outside the everyday working environment. We were thrilled by the level of commitment shown by staff who participated, especially those who lost shoes, lost their way and lost their dignity, that being all of us! 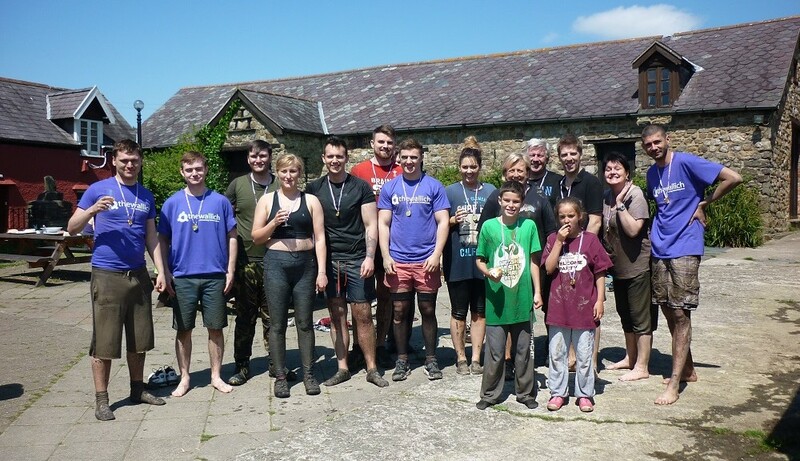 The mud challenge enabled us to support our chosen charity and help homeless individuals throughout Swansea and the rest of South West Wales,” said Ricky, Director of Residential Lettings at Dawsons. The fundraising event, which took place on Sunday 15th May, saw the team undertake 121 challenges, including a sniper crawl through deep mud. Dawsons has raised funds totalling just over £700 to date from a number of fundraising events, including an Easter bonnet competition, a ‘guess the number of Easter eggs’ raffle, a general collection at all of their offices, and the aforementioned mud assault course challenge. After recently meeting with representatives from The Wallich, they have also set an agenda for fundraising during the summer months. The Dawsons team is currently busy organising a Wimbledon tennis competition, a Euro 2016 sweepstake and a fundraising evening, which will take place in September and include great raffle prizes, an auction, charity speakers and much, much more. Further information regarding all fundraising events, and more importantly how to get hold of tickets for each will be released during the weeks ahead. “It’s great that Dawsons has been able to raise over £700 already, and their enthusiasm and involvement really will make a difference. We are looking forward to working with Dawsons over the summer months, and are sure they’ll continue to promote the charity and our great work,” concluded a representative from The Wallich.